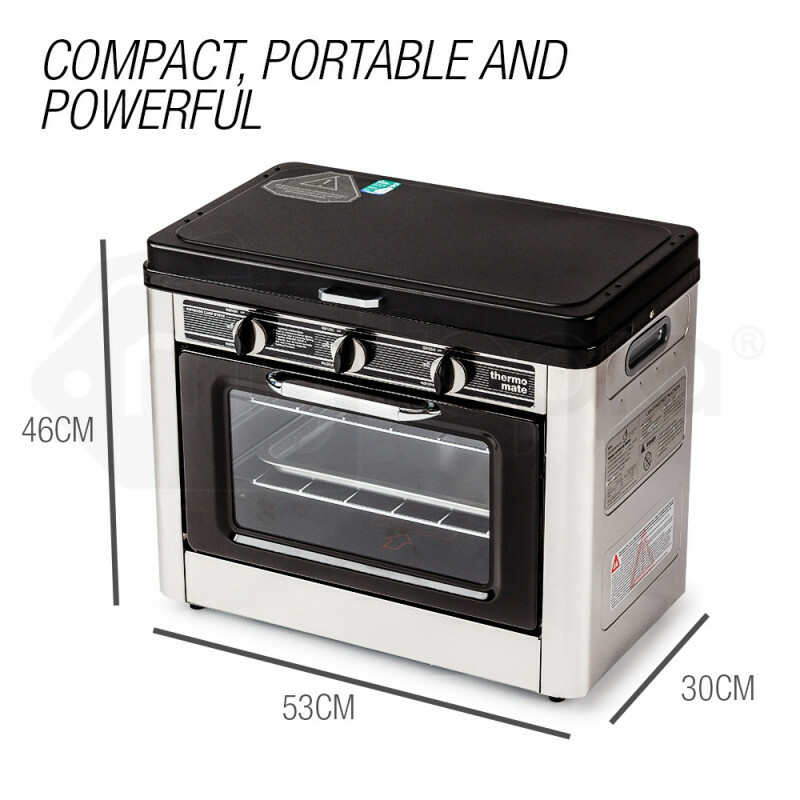 Available here: https://www.mytopia.com.au/3-burner-portable-lpg-camping-oven/ Expand your outdoor menu with the Thermomate Outdoor Camping Oven. 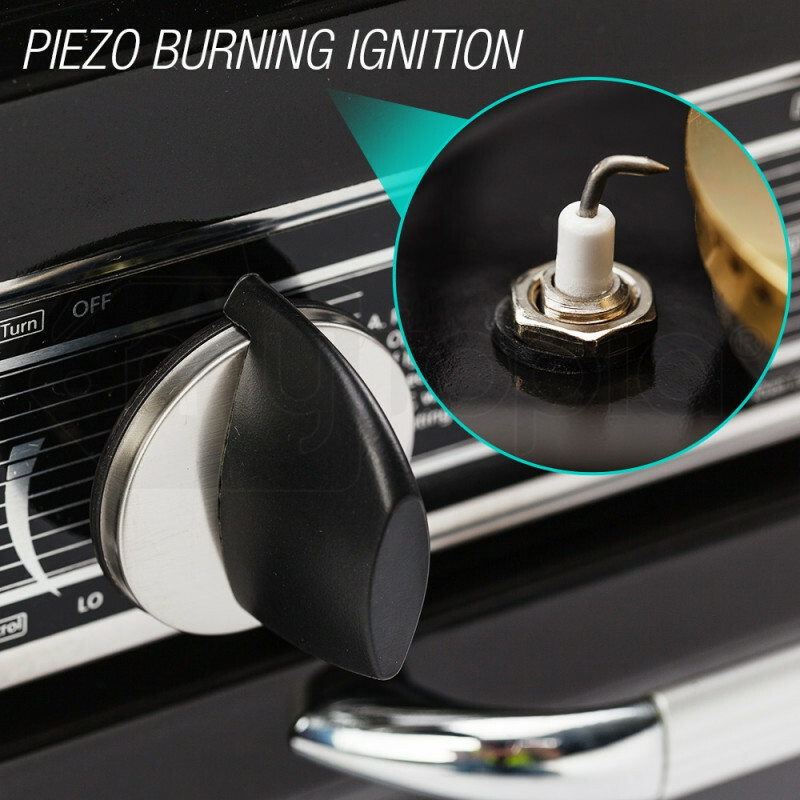 Just hook up an LPG gas bottle and you can independently fire up two brass stove top burners and an oven burner. 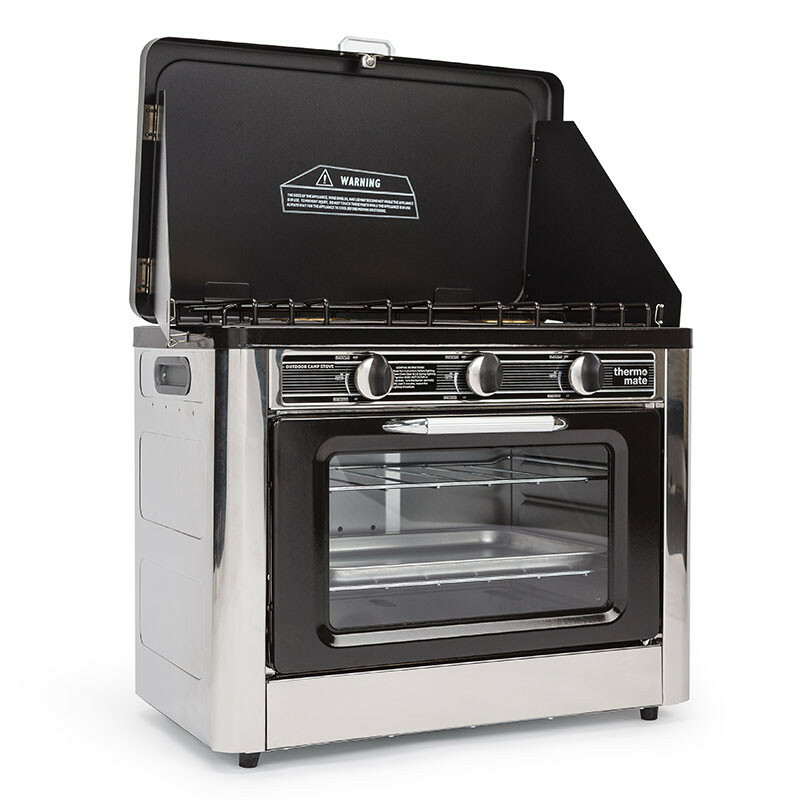 The versatile Outdoor Camp Oven unlocks all the cooking capabilities of a home oven and cooktop. 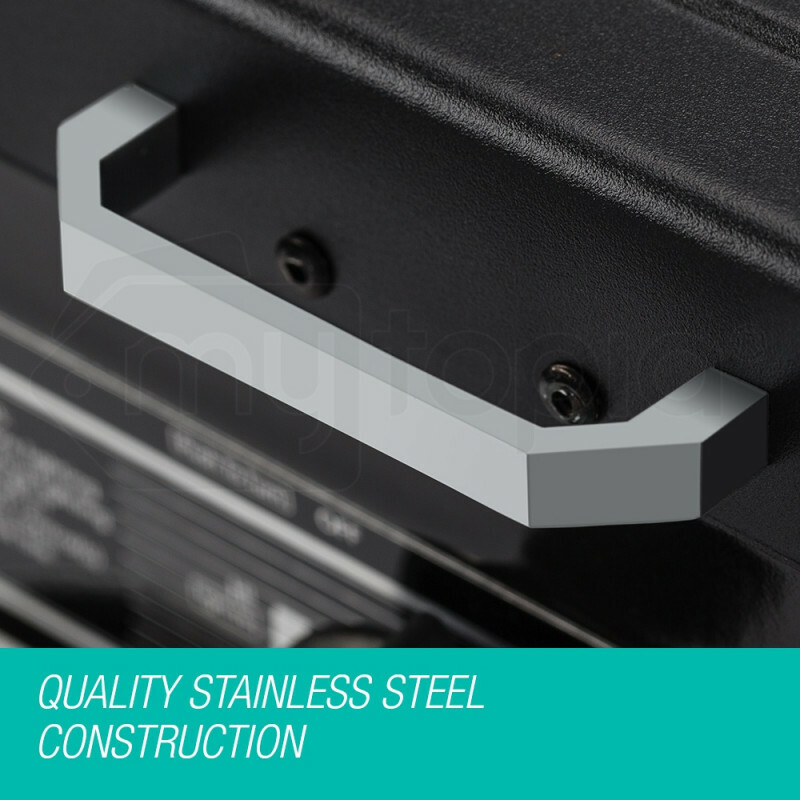 Portable and Compact - Weighs only 15kg! 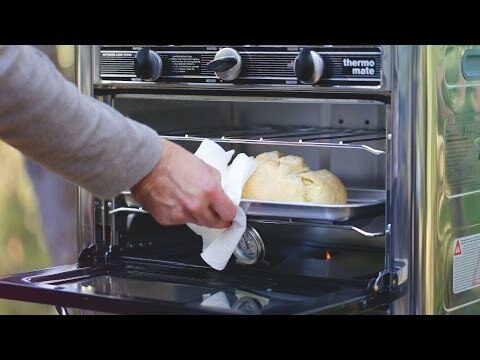 With the portable Thermomate Outdoor Camping Oven and Stove you can enjoy all the cooking capabilities you have at home wherever you are! 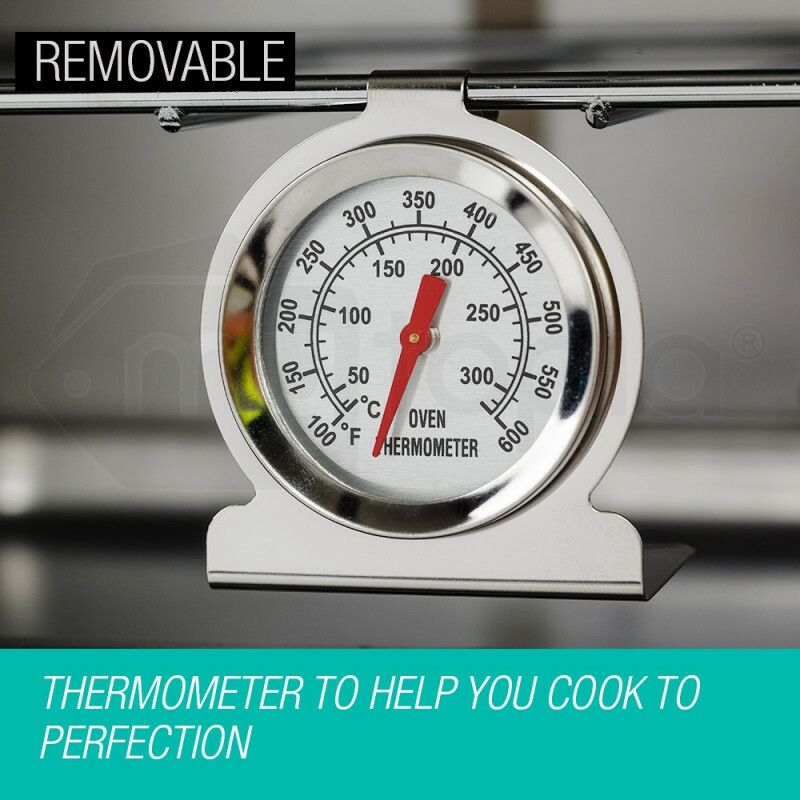 Thermomate make it easy to cook delicious and healthy meals during your vacation, just connect the Camping Oven and Stove to an LPG gas bottle and bring out your inner chef! 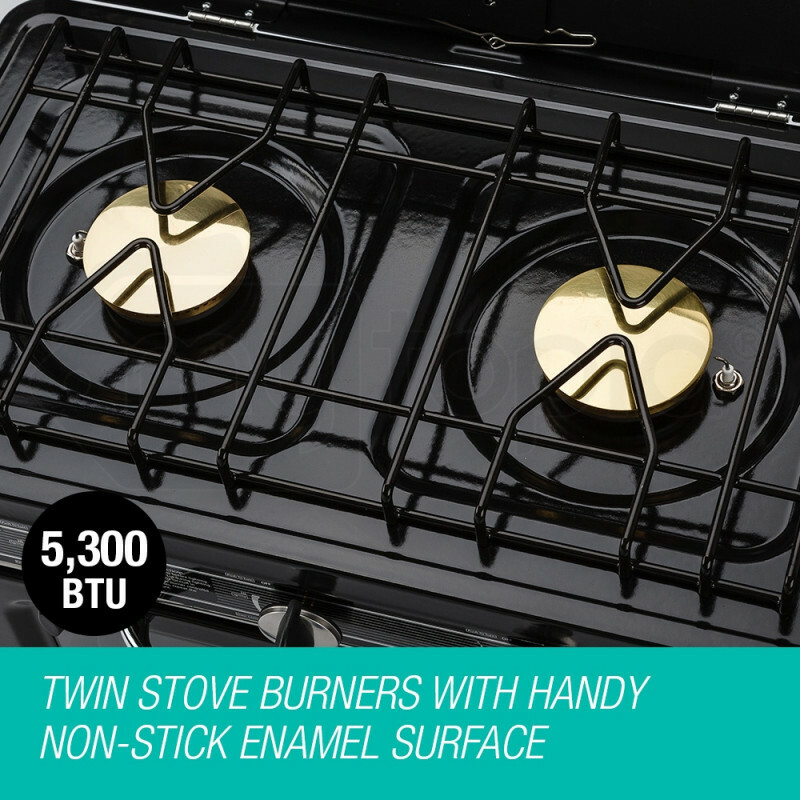 Designed for independent or concurrent use, the two brass stove burners and camping oven are ready to create the meals you crave. 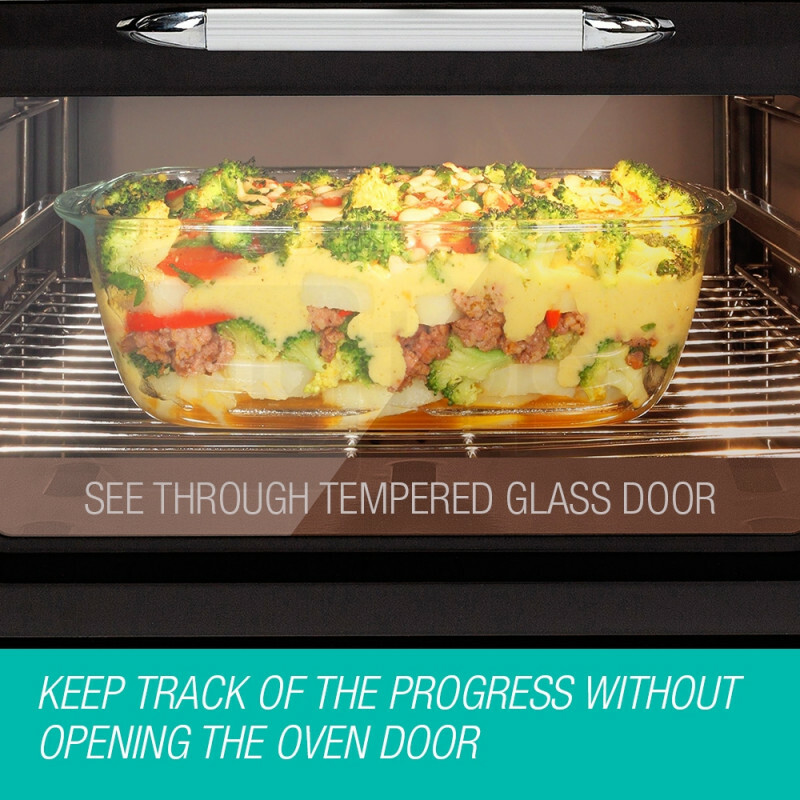 The versatile Thermomate 2-IN-1 Oven and Stove allows you to cook outdoors with ease. 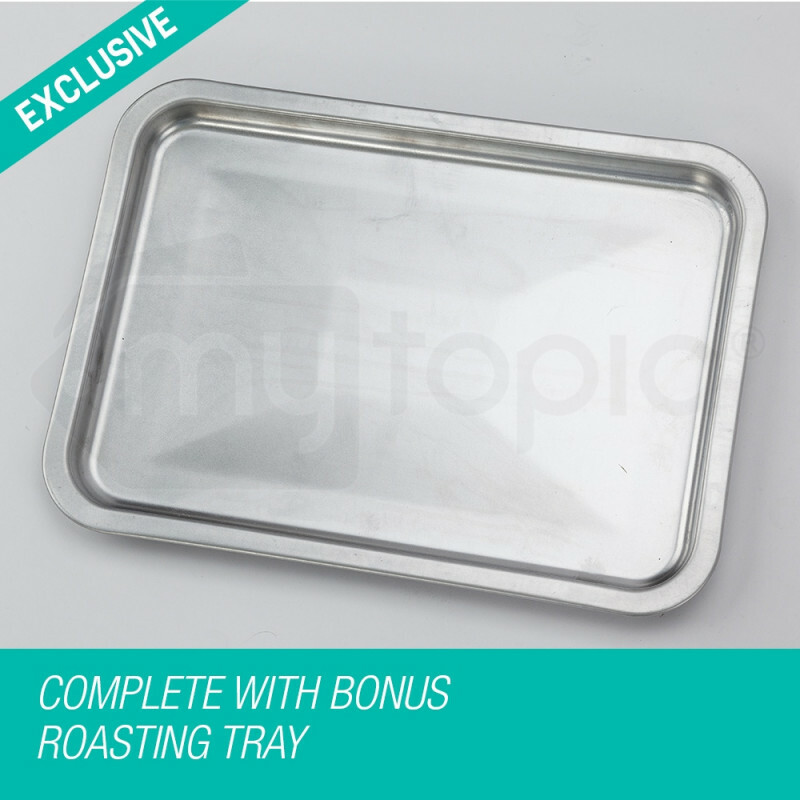 Imagine yourself waking up to a full Aussie breakfast of bacon, fried eggs, baked beans and freshly baked bread, or enjoying a cup of your favourite coffee while your lasagna is cooking to perfection for your evening meal. 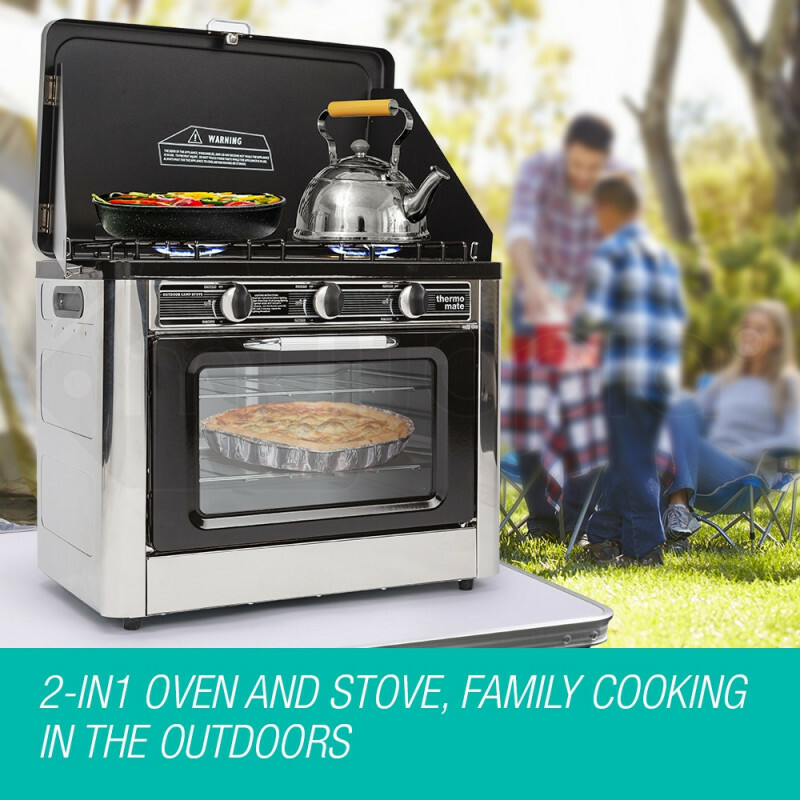 Whether you’re camping by the beach, in the outback or on the snowy mountains, you can now enjoy the taste of a home-cooked meal in the great outdoors. 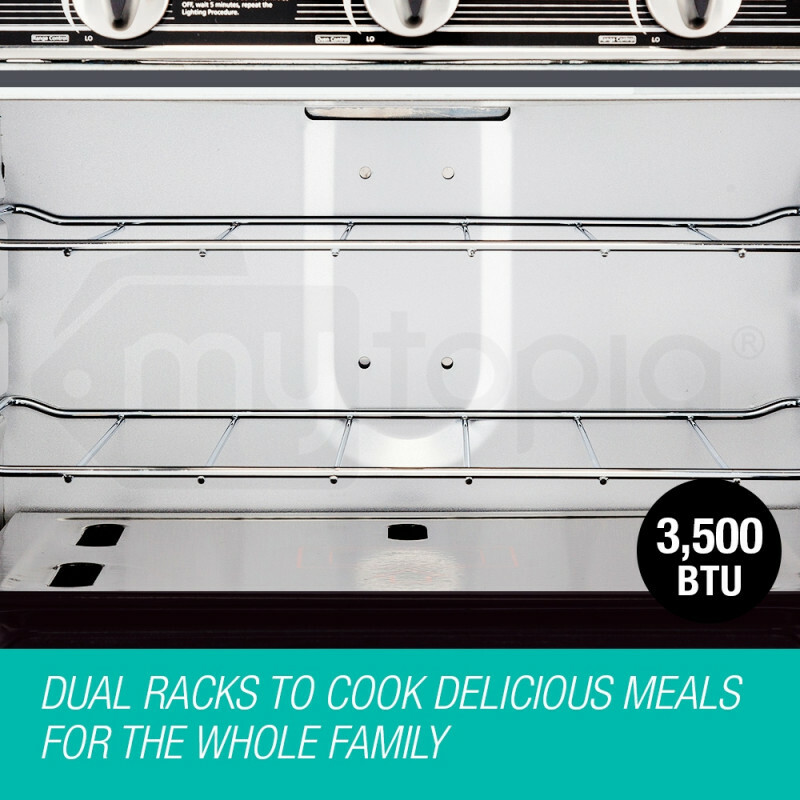 Made with quality stainless steel, you can be confident of the unit’s durability. 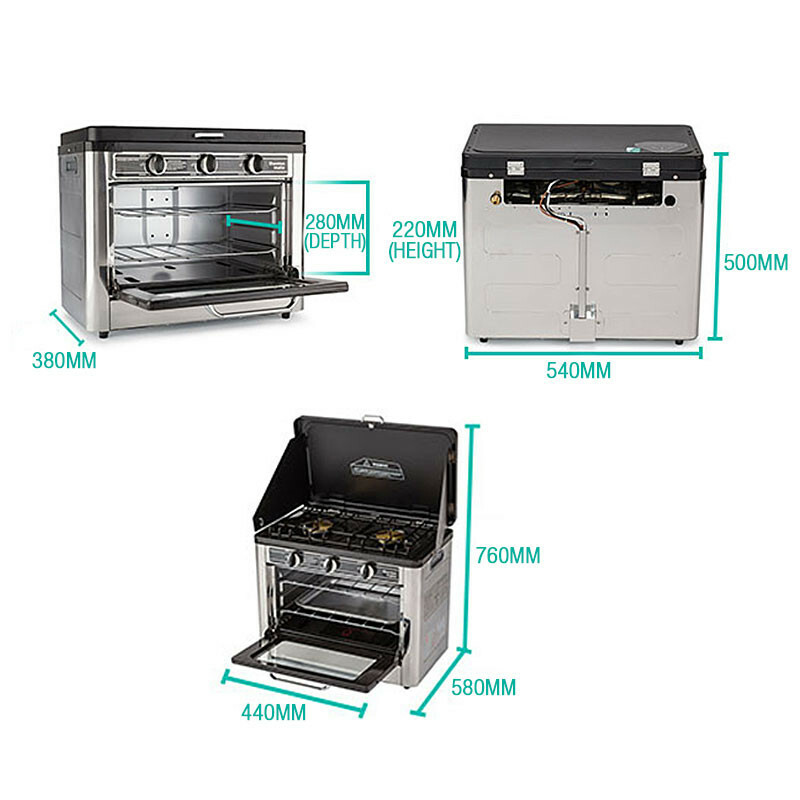 Featuring 5,300 BTU twin stove burners with non-stick enamel surface, a 3500 BTU oven with dual racks, removable oven thermometer and a bonus roasting tray, the Thermomate Outdoor Camping Oven has thoughtfully included everything you need to create a home cooked meal outdoors. 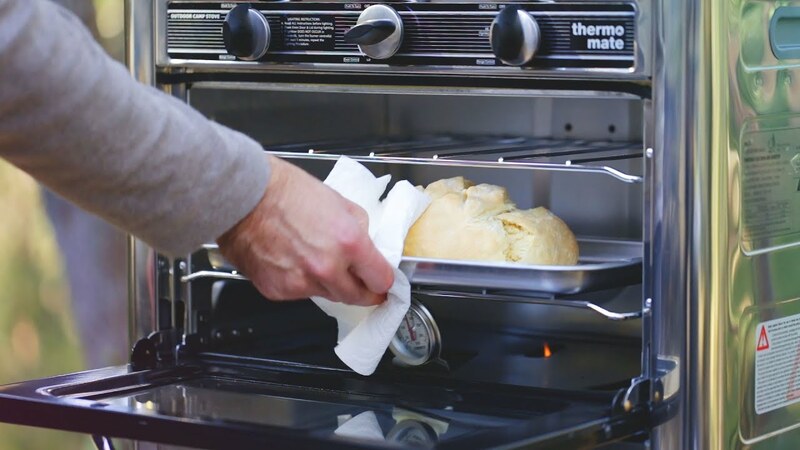 The folding lid and arms will shelter heat from wind while cooking. 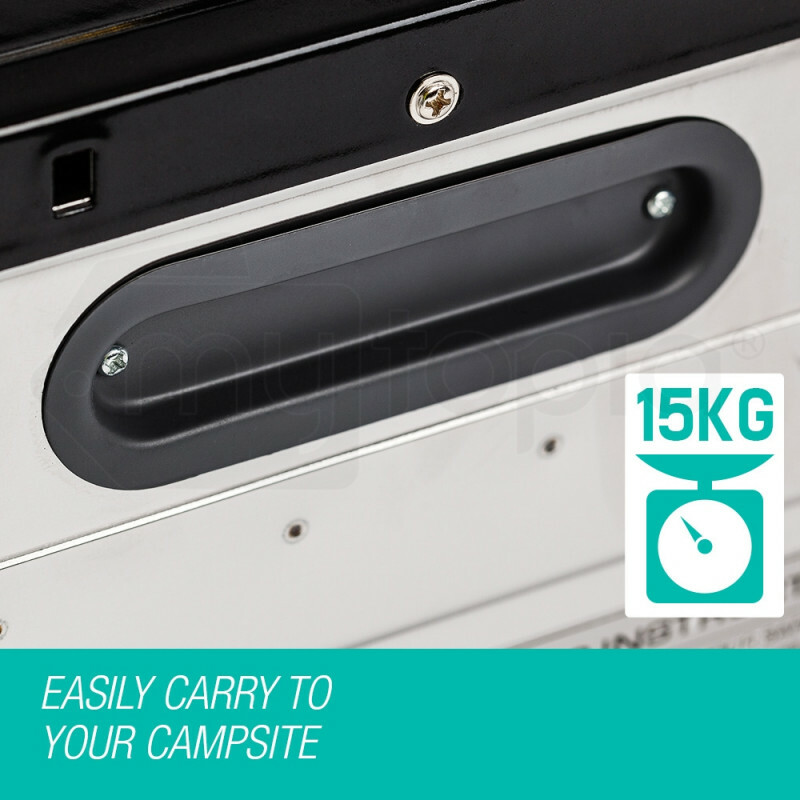 Cleverly designed, it is powerful yet compact, weighing only 15kg, ensuring easy transportation and storage. 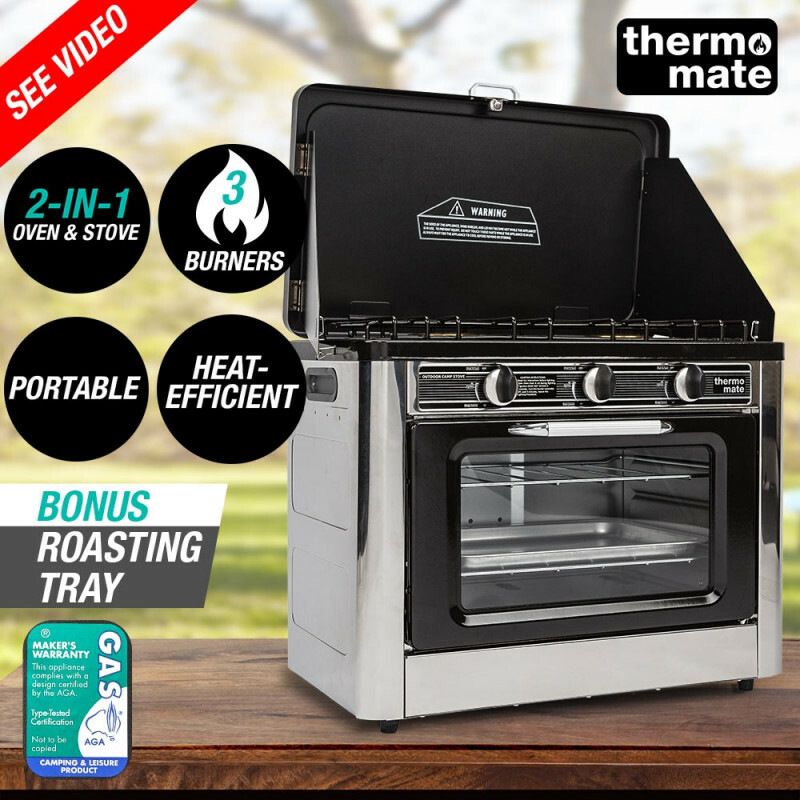 Don’t delay, buy your Thermomate Outdoor Camping Oven and Stove today and experience endless cooking possibilities in the great Australian outdoors! Download the manual for CAPCOKP2BRTKADJG for detailed instructions on using your product. View Related Parts Need spare parts? 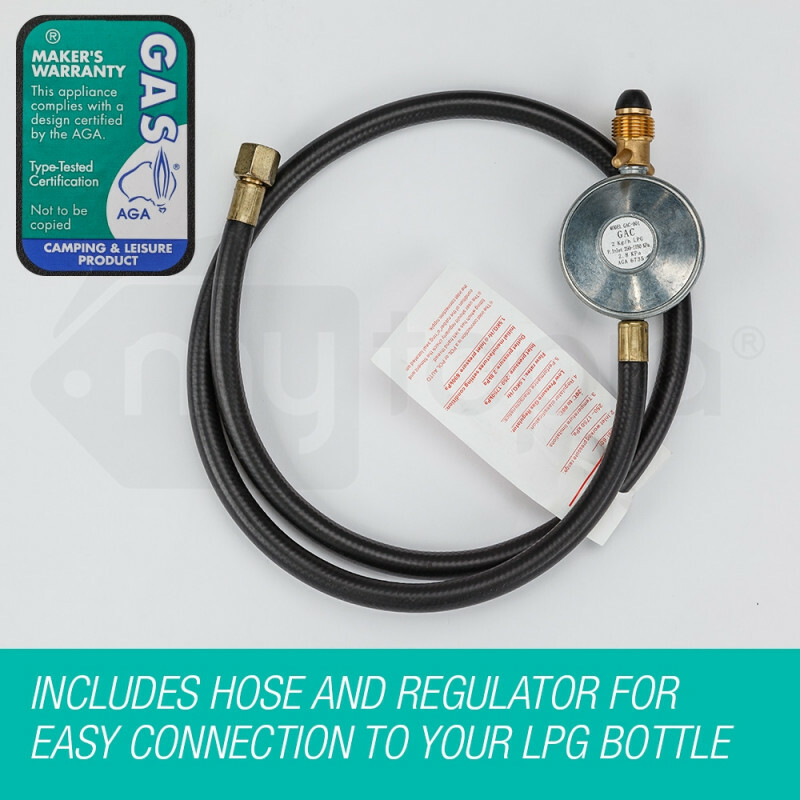 We have spare parts compatible with CAPCOKP2BRTKADJG.